Ethan Durbin, right, and D.J. 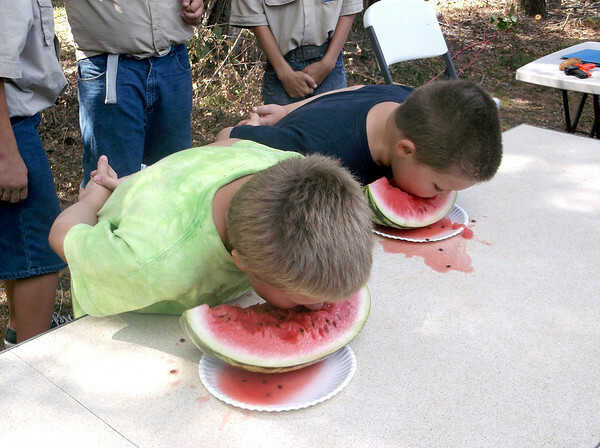 Barr race to see who can eat the most watermelon at the St. Elmo Labor Day celebration. Ethan won, followed by D.J. in second and Demario Ledbetter (not pictured).